This batak reaction game hire option is always popular at events. 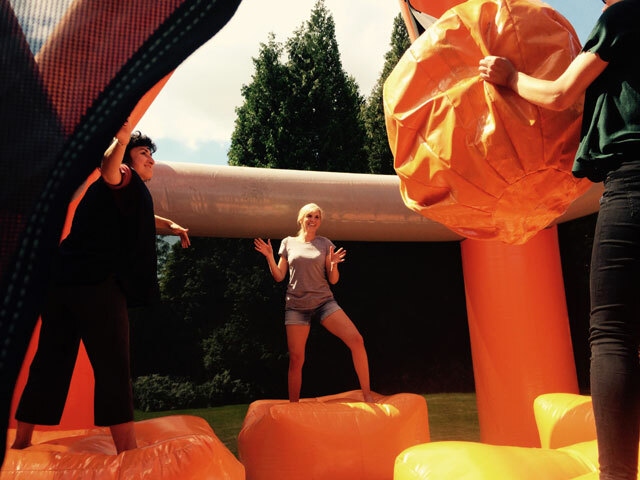 Over the last few years batak wall hire has become a team building and exhibition favourite. The aim of the Batak game is to turn off lights as quickly as you can once they illuminte on the batak wall. This reaction game great for corporate events and it is great to encourage people onto your exhibition stand. Within a few seconds people soon loose their inhibitions and want to set a new personal best score! The Batak wall is great fun apparently Jenson Button has the world record, but its a lot of fun just to see if you can better your friends score! As with all our products discounts may be available if booked with other products. Ideally located in the midlands we can quickly dispatch a Batak wall (Batak pro) to your event or team building event or exhibition to Birmingham, Manchester, Leicester, Nottingham, London, Derby etc. Our aim is to provide cheap batak hire (good value!) and so we will try to beat any like for like quote . Hire a batak wall for your exhibition or conference, we have regularly taken batak wall and batak pro to the NEC the Gmex centre, the Excel conference centre in London. Hire a batak wall to your exhibition stand to ensure that you entice people and stand out from the crowd. 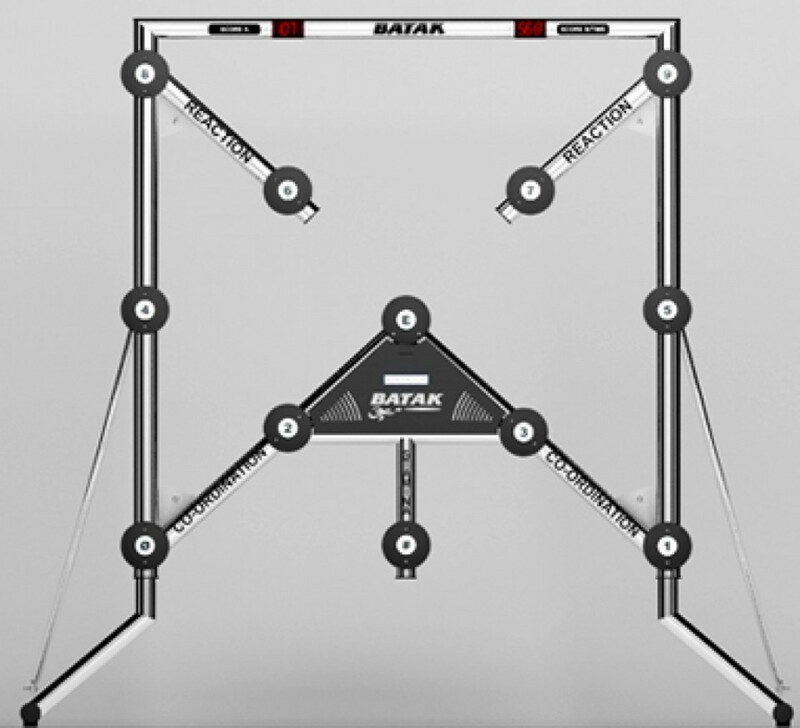 Batak is quick to install, quick to remove and alot of fun! The track is computer controlled, keeping records of lap times,and race winners. 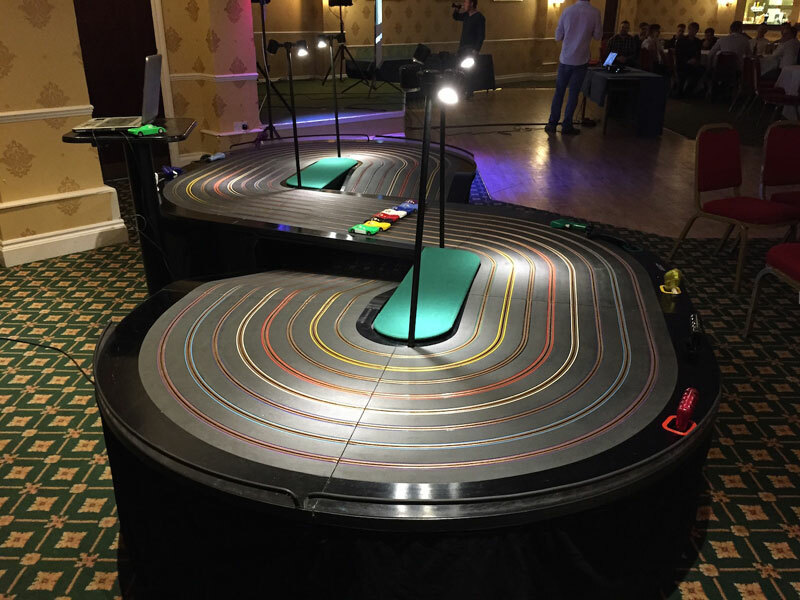 The scalextric is suitable for party events, corporate team building, promotional events birthday parties etc and will appeal to all kids (young or old!) Giant scalextric hire is available in London, Birmingham, Manchester, Derby, Nottingham etc! This is a new amazing and fun outdoor team building event. It’s fast, inflatable, exhilarating and bouncy. At some point in time, you must have thought “I would love to bounce on those big balls”, well now is your chance – we have all the iconic challenges to Wipe You Out. 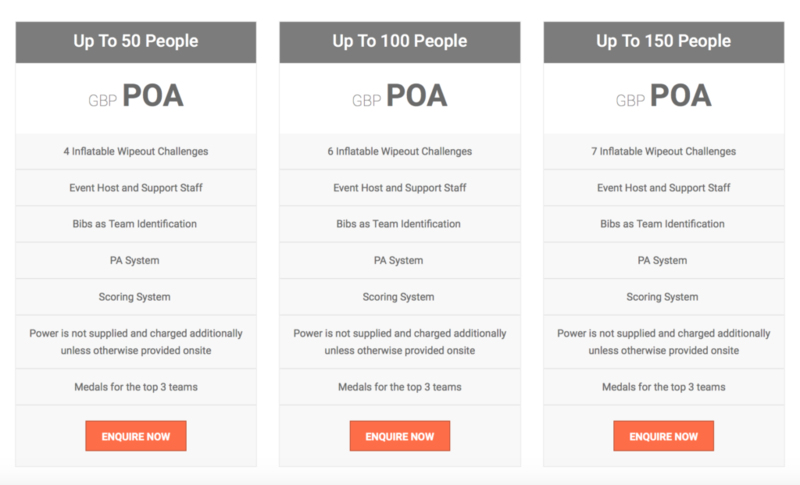 If you’re looking for the ultimate way to motivate your staff or have fun with friends and want an event thats unique, exhilerating and massively fun… Our Wipeout Team Event is it! It is fast, inflatable and exhilerating just like the famous TV show! We are likening this to a new age, modern, its a knockout event to take us through 2017 and beyond. Get your team ready to be Totally Wiped Out. 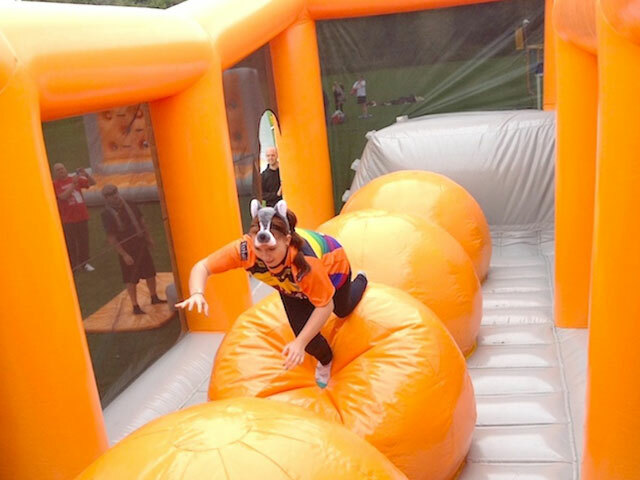 This is a team relay, where each team member must navigate the giant balls, once they have completed the course, they tag a team mate and the process is repeated. If a team member is not happy proceeding then team members can run twice. Watch their faces as they suffer a total wipeout! Head to head relay race, where each team member must navigate the assault course. The total time of the team completing the course will be recorded. You’ll be totally wipedout! This versatile Arena offers a number of challenges, however we suggest a team game of Volley ball. The objective of the games is for teams to send the ball over the net so that opposing team cannot return the ball or can prevent it from hitting the ground in their court. 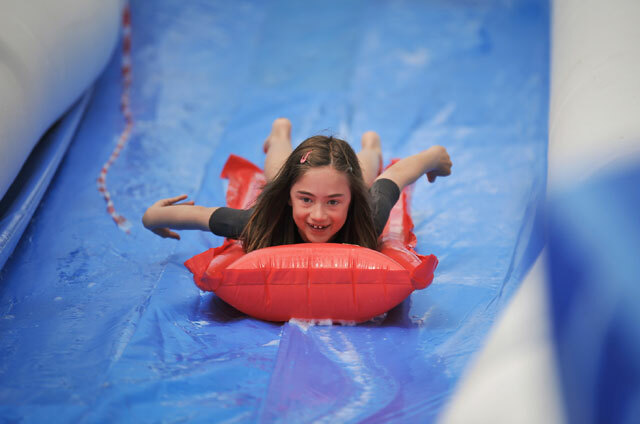 Check out our amazing giant water slide for hire! 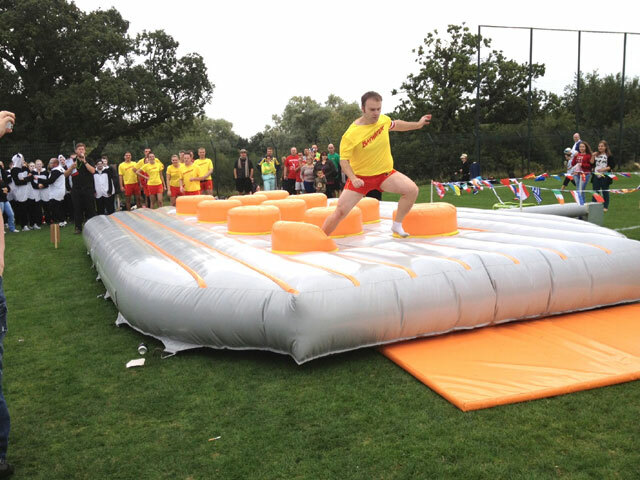 XS Events have been hiring out giant slipnslides for a number of years. 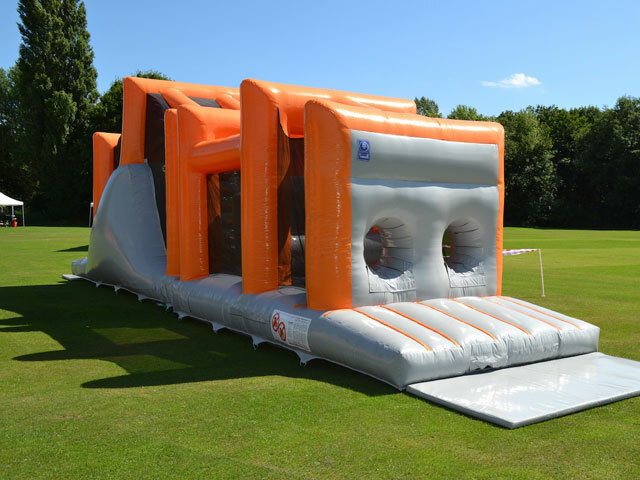 We can hire a slide to your corporate, charity or commercial event that is anything from 40m to 200m in length. Over the course of a day we can “slide” approximatley 1000 people down the slide and this can raise a lot of money for your charity. We provide Risk assessments, Insurance Method statements and expertise. You supply the hill!! Virtual reality (VR) is the buzz word at the moment! XS Events have invested heavily in the best virtual reality equipment to hire to your event. We are running the latest Oculus rift technology on the latest and most powerful gaming PC’s. Virtual reality (VR) can be integrated into your corporate event, or team building event. XS Events have a rapidly expanding number of VR experiences to wow your guests. Using the best quality immersive Oculus headsets your sure to love this experience. Racing simulators are one of our most popular experiences and when combined with VR the effect is next level! Our professional staff will make sure you feel comfortable with the new environment and get the most out of the event. Enjoy an experience like never before with our Virtual Reality driving simulator. Full 360 degree viewing to maintain full immersion within your game. We can use one of your private rooms for a superior immersive experience. If you’re after an experience not listed here, please ask as we may already have it! It’s difficult to describe how much fun having a virtual snowball fight is or how walking along a cliff edge can make you feel like you may fall (don’t worry we will catch you! ), so the best thing to do is hire the virtual reality experience and see for yourselves. Glasses compatible: If you wear glasses you won’t miss out, all our headsets are fully adjustable for spectacles.